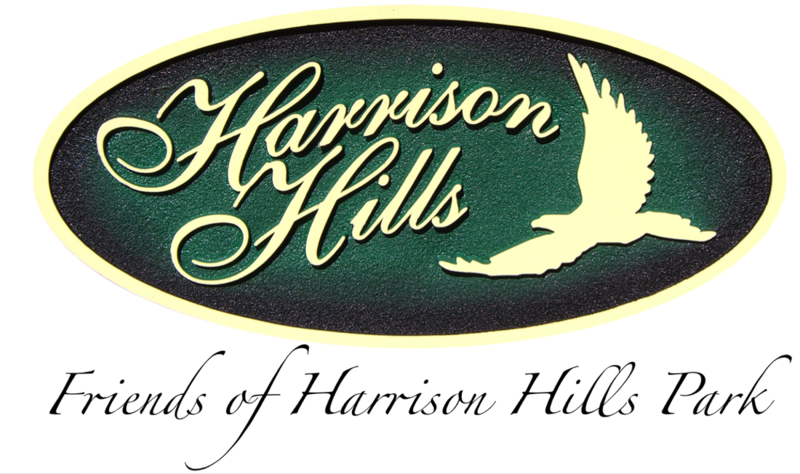 Welcome to the Friends of Harrison Hills Park home-on-the-web! The Friends are a dedicated group of community volunteers from all walks of life, lead by the Council of Friends who are volunteers from the community appointed to 2 year terms by Allegheny County Council. ​Our mission is to make only improvements needed to enhance the Park's usability, to promote educational and recreational outdoor activities for all ages, and to keep Harrison Hills Park as a 'Nature Park' as it was originally envisioned. Harrison Hills Park is over 500 acres of wooded land, streams, waterfalls and ponds. The Park occupies the extreme northeast part of Allegheny County, bordering the Allegheny River. The Friends developed 14 miles of blazed trails with trail heads and maps, for hiking, biking, birding, and horseback riding. Other Friends' Projects over the years include the Watts Memorial Overlook, the Environmental Learning Center, the Nature Explore Outdoor Classroom, playgrounds and a wildlife observation blind by the South Pond. We plan Programs and Events year round that are run by volunteer members and other nature groups. We have long-term Goals to sustainably develop our beloved Park to benefit all who visit.